Should You Care About King? 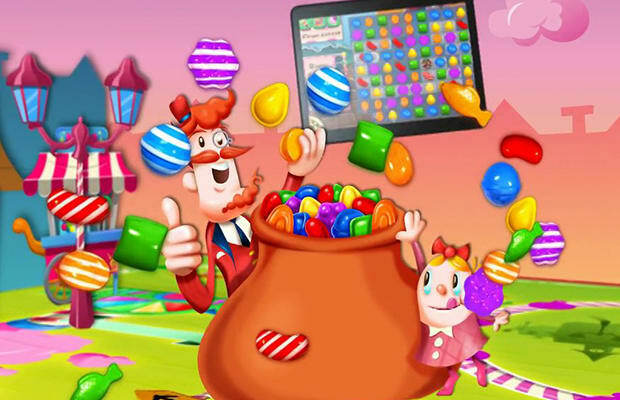 Candy Crush Saga developer King has been in the news a lot this week. First they went on the warpath, stirring up controversy by trademarking the words "Candy" and "Saga" and going after games they felt might be infringing upon their sudden ownership over said words, most notably The Banner Saga. Then indie developer Matthew Cox accused King of cloning his game Scamperghost with their own Pac-Avoid (which in turn looks more than a little like Pac-Man). Aside from the sheer ridiculousness of putting a copyright on common words that have no particular branding exclusivity to King&apos;s games, it raises the question of just what this casual developer&apos;s value really is to the video game industry. Over at USGamer, they&apos;ve decided to put King to the test by examining five of their most popular games, from mobile to Facebook. What they found was, well, not really that surprising. Out of the five games looked at, two match-three titles were almost identical to each other, with their other matching tile-game not far off; outside of that, King&apos;s other two most popular games were derivative of Bust-A-Move and Peggle, respectively. What&apos;s more important to consider here, regardless of any feelings about King&apos;s recent behavior, is how much these utterly uninspired casual games are making. The Candy Crush developer is making money hand over fist by pumping their titles with in-app microtransactions – Candy Crush alone has over 150 million active monthly users, so you can imagine how much of their undisclosed profit margin comes just from that specific title. It&apos;s easy to be cynical about what money can do to an industry, but given King&apos;s recent behavior, not to mention what they&apos;ve been hanging their hat on, it&apos;s hard not to. Check out the full story via the link below.